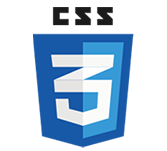 CSS Animation is a process of moulding shapes, changing them and generating motions with elements. Below is an example of key frames using left animation. The above sample code shows height, width, color, name and the duration of animation with keyframes. What is CSS Moving left animation?